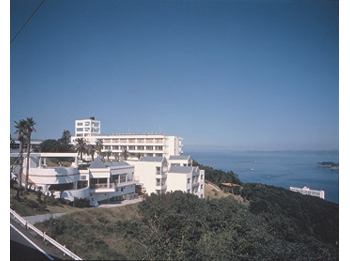 Hotel Green Hill Shirahama has been built on the slightly elevated hill overlooking the famous "Shirahama Onsen". 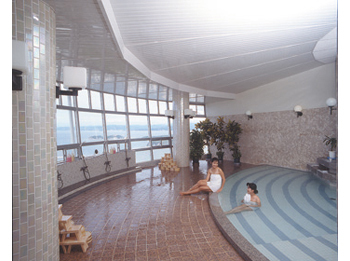 Guests can choose from Japanese-style or Western-style rooms and enjoy such sports to play golf, tennis and swimming during the stay. Dining is offered by choice at either two restaurants, Buon Pesce or Las Palmas, where Japanese, French or Teppan-yaki cuisine are served. 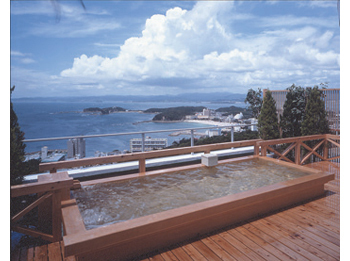 The hot spring does not use circulated hot water, use only the fresh, pure hot waters directly from the Shirahama Onsen source. 15 minutes by taxi from JR Shirahama Station. 20 minutes on bus from JR Shirahama Station bound for Sandanbeki. Get off at Shin-Yuzaki and 5 minutes by hotel shuttle.